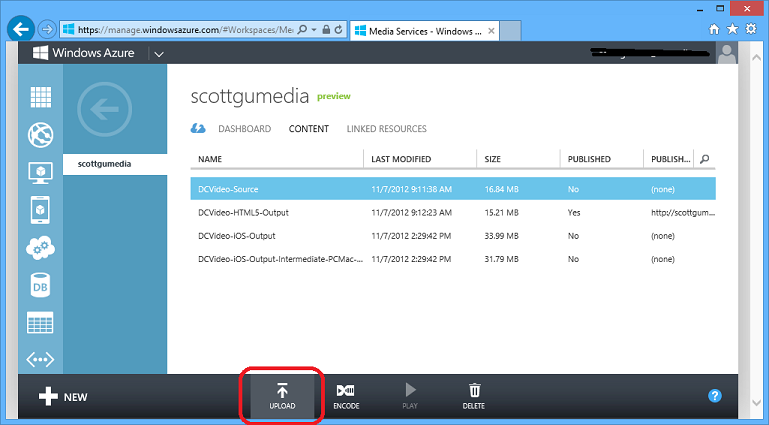 As of the most recent release we now show logs for all operations performed on Cloud Services and Storage Accounts. You can click on any operation in the list and click the “Details” button in the command bar to retrieve detailed status about it. 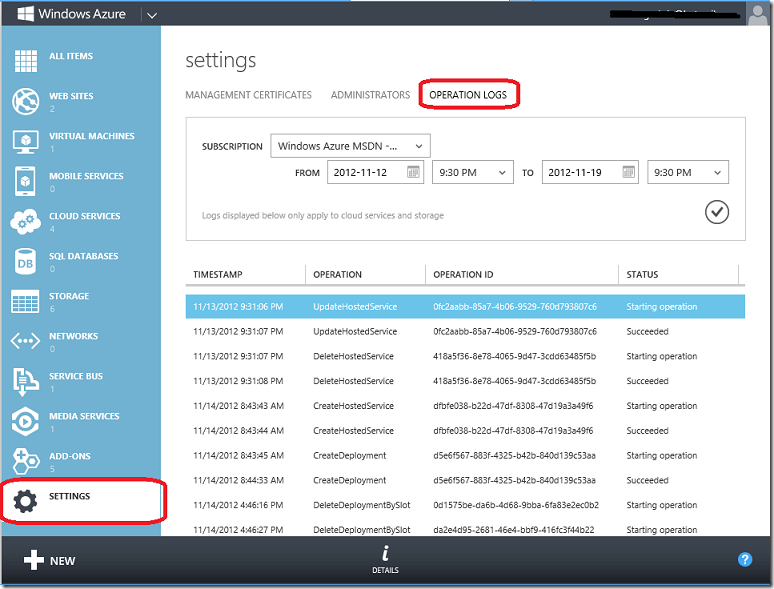 This now makes it possible to retrieve details about every management operation performed. 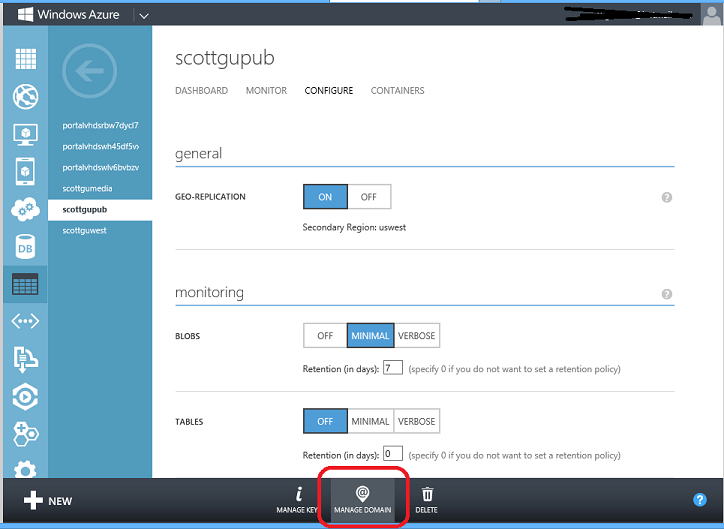 In future updates you’ll see us extend the operation log capability to apply to all Windows Azure Services – which will enable great post-mortem and audit support. 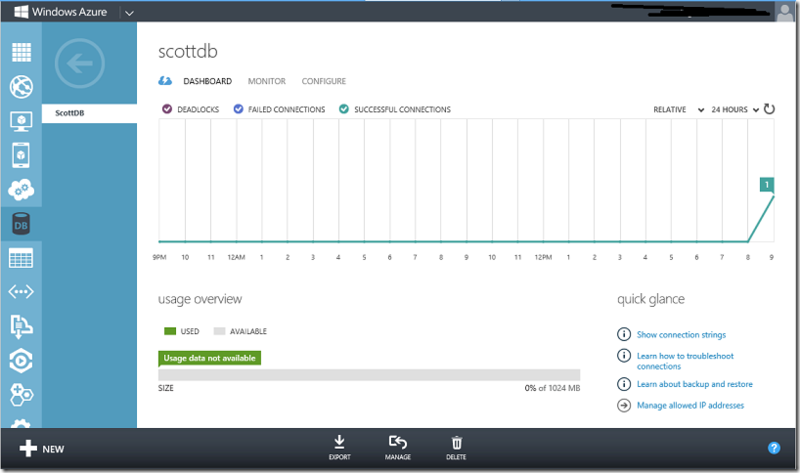 Additionally, if the database is added as a “linked resource” to a Web Site or Cloud Service, monitoring metrics for the linked SQL database are shown along with the Web Site or Cloud Service metrics in the dashboard. 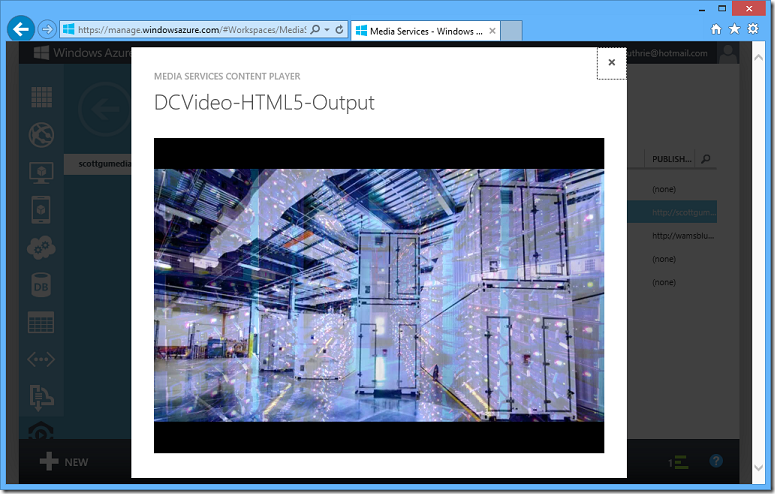 This helps with viewing and managing aggregated information across both resources in your application. 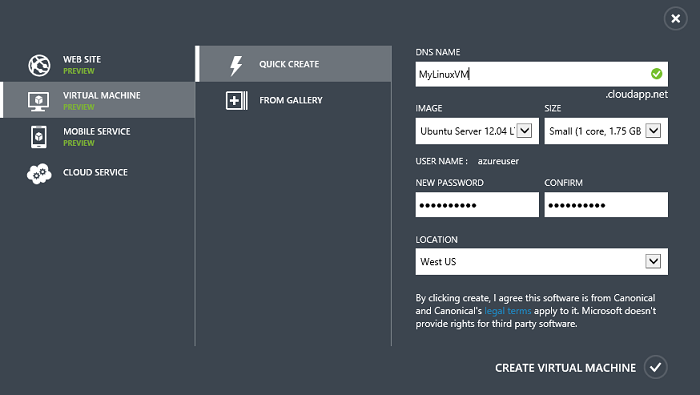 This makes it incredibly easy to create a new Virtual Machine in only a few seconds. One of the new regions we’ve recently opened up is the “East Asia” region. 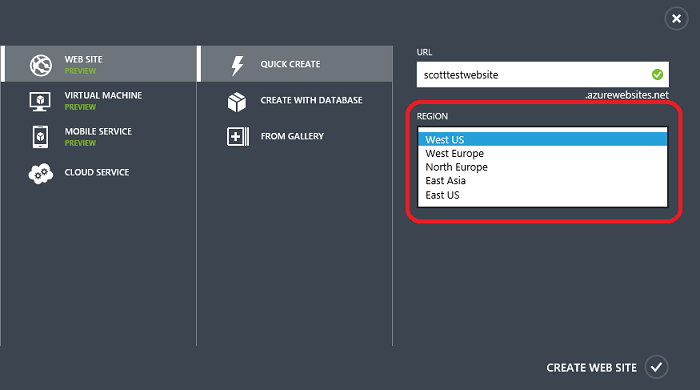 This allows you to now deploy sites to North America, Europe and Asia simultaneously. This past week we also enabled Git based continuous deployment support for Web Sites from private GitHub and BitBucket repositories (previous to this you could only enable this with public repositories). 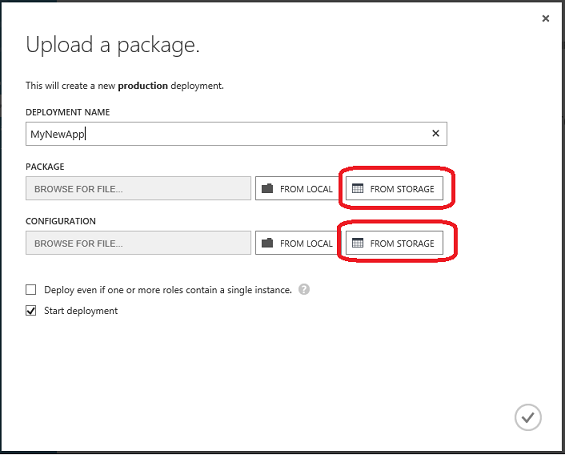 To upload an application package from storage, click the “FROM STORAGE” button and select the application package and configuration file to use from the new blob storage explorer in the portal. 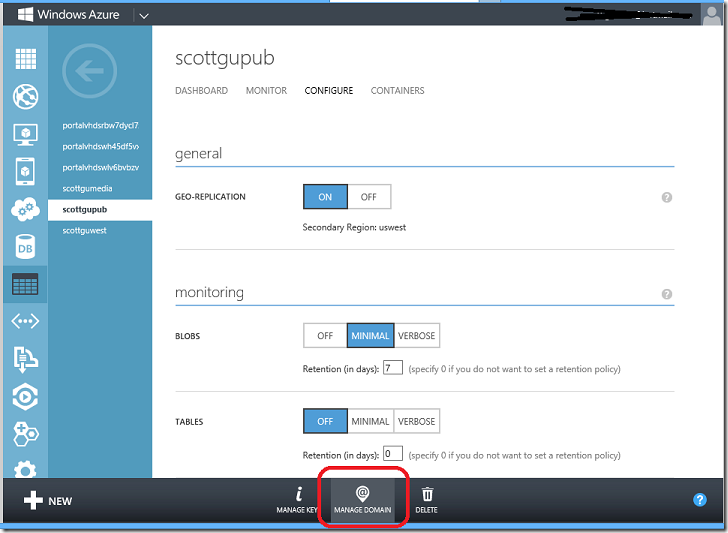 If you have deployed the new dedicated cache within a cloud service role, you can also now configure the cache settings in the portal by navigating to the configuration tab of for your Cloud Service deployment. 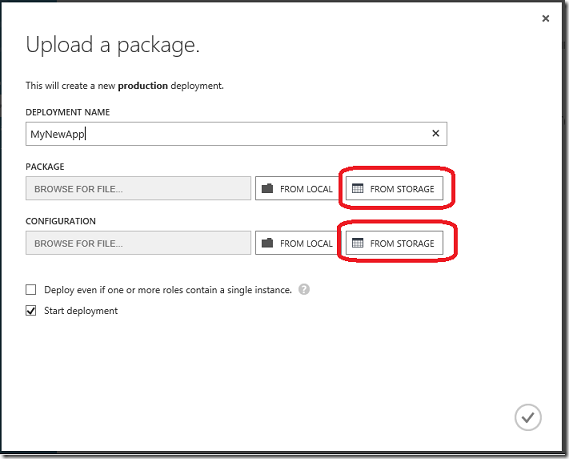 The configuration experience is similar to the one in Visual Studio when you create a cloud service and add a caching role. 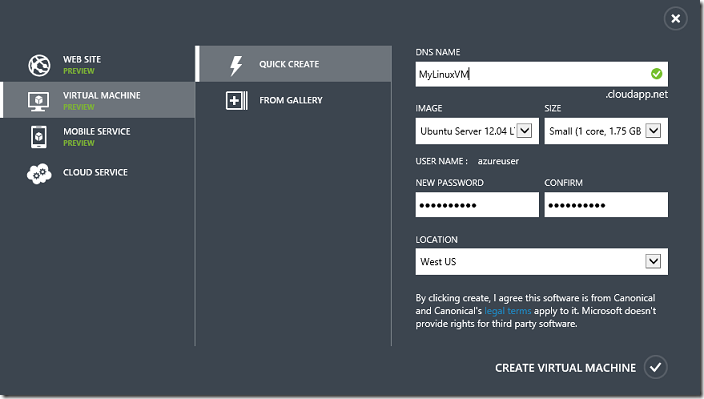 The portal now allows you to add or remove named caches and change the settings for the named caches – all from within the Portal and without needing to redeploy your application. 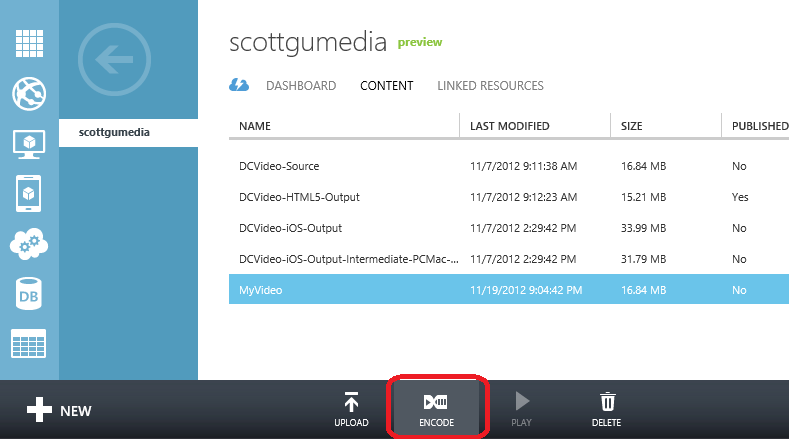 You can now upload, encode, publish, and play your video content directly from within the Windows Azure Portal. This makes it incredibly easy to get started with Windows Azure Media Services and perform common tasks without having to write any code. 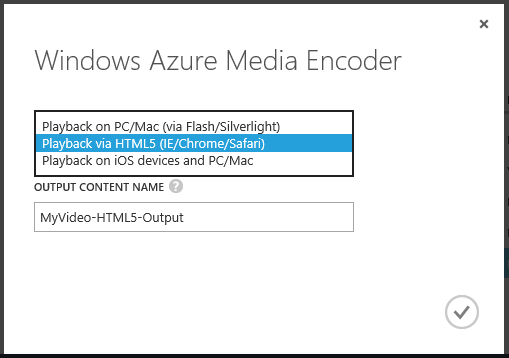 This makes it incredibly easy to try out and use Windows Azure Media Services and test out an end-to-end workflow without having to write any code. 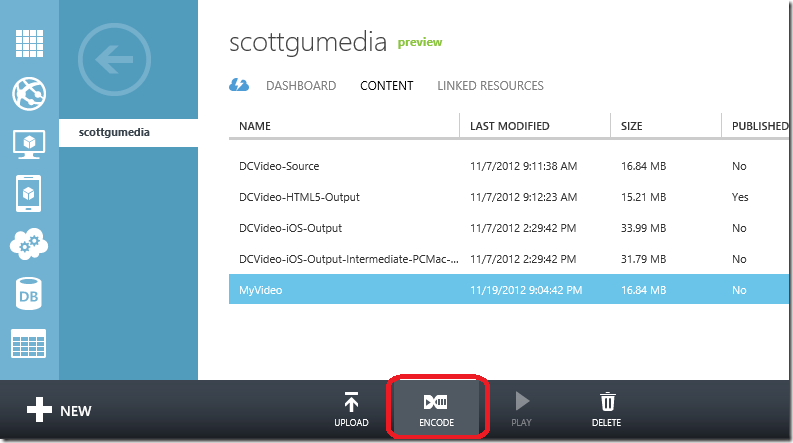 Once you test things out you can of course automate it using script or code – providing you with an incredibly powerful Cloud Media platform that you can use. 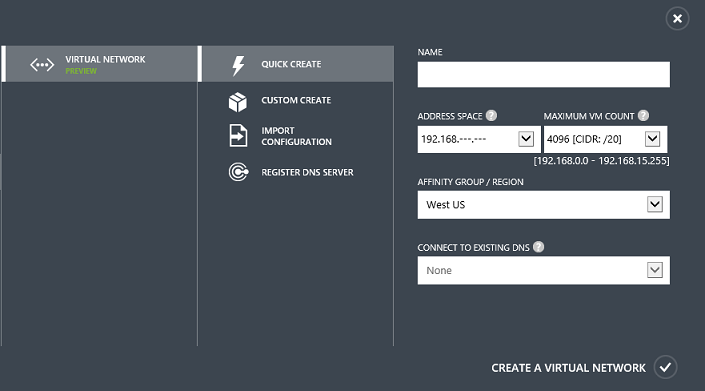 The portal also now has a “Register DNS Server” task that makes it easy to register DNS servers and associate them with a virtual network. 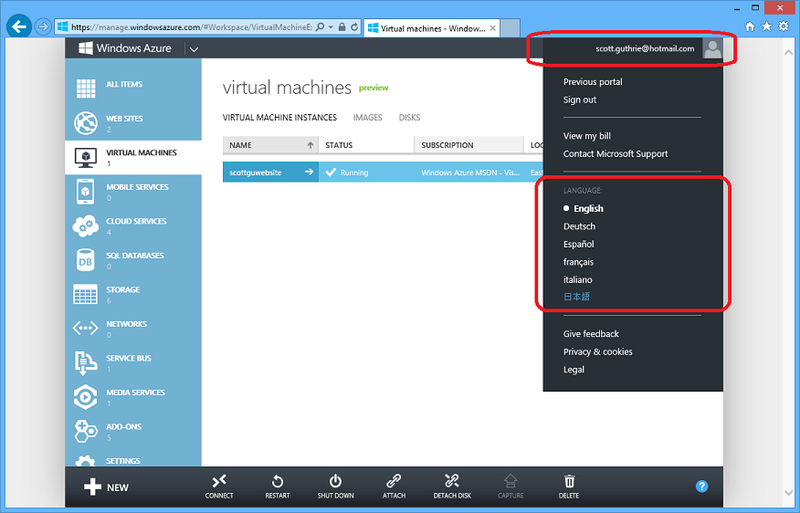 One of the other cool features that is now live within the portal is our new Windows Azure Store – which makes it incredibly easy to try and purchase developer services from a variety of partners. It is an incredibly awesome new capability – and something I’ll be doing a dedicated post about shortly. FYI: Your full email is listed in the first two screen shots, not sure if you intended to blur this out like the rest of the screenshots. Great improvements. 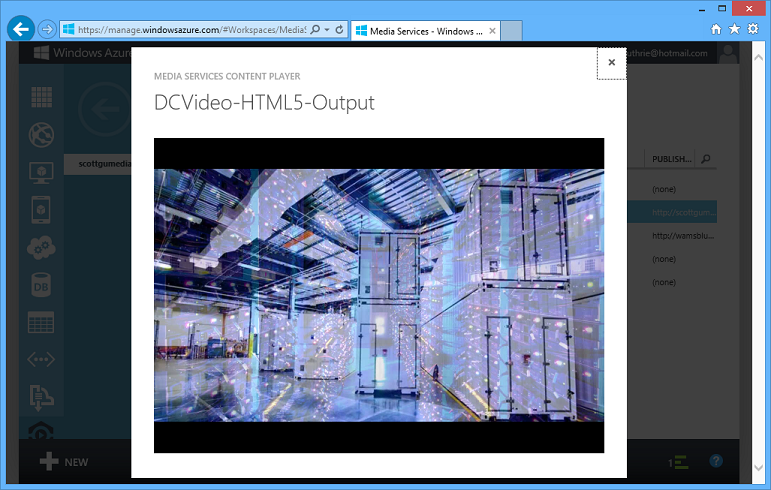 Loving the media streaming options. Could we get an update on database read/write concurrency? How should we handle this when greater than 200? Any plans for the portal to display the SQL Database size - just shows "Usage Data Not Available" for me - same as in your screenshot. That would be really useful data to surface here. 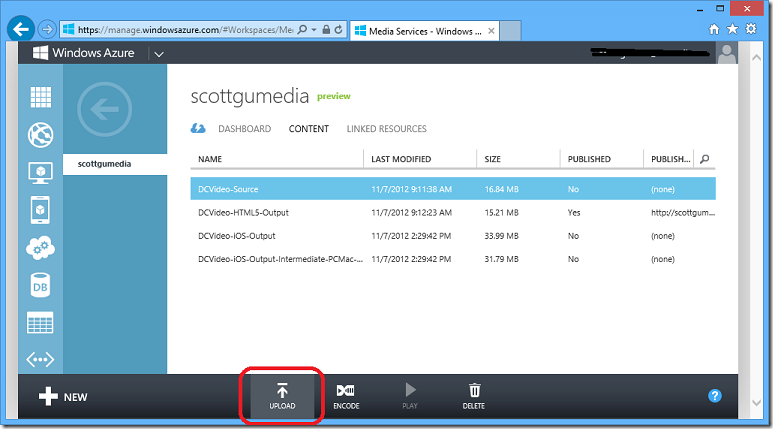 Aditionally, I would also like to see when Windows Azure decides to redeploy my web role to another VM. Is there any way to see when this has happened? 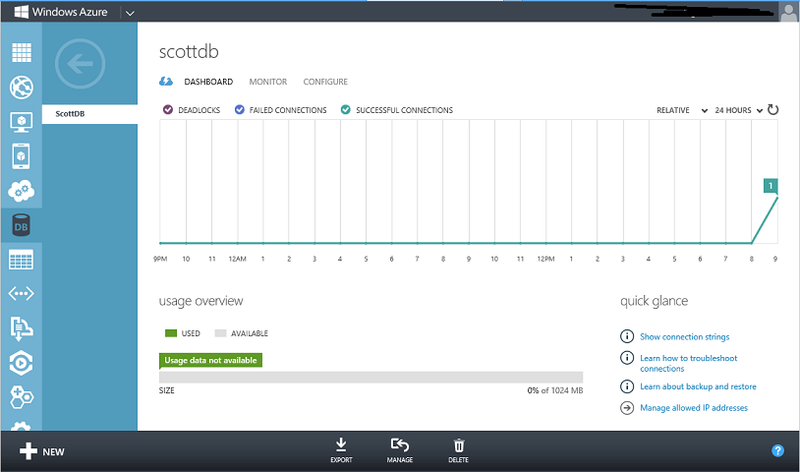 Why does it say "usage data not available" for the linked DB in the dashboard view? It's been saying that for months. Great stuff! 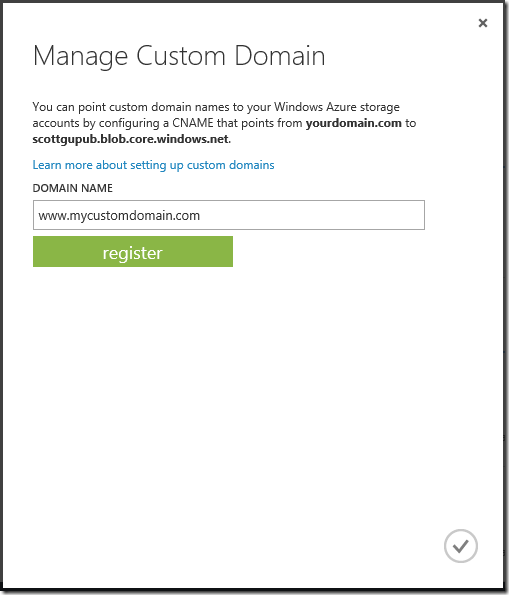 Question: with the new “Manage Custom Domain” dialog we can associate a custom domain. I have played around with this and from the looks of it, we cannot use this feature with secured HTTPS calls in combination with our domain SSL certificate. 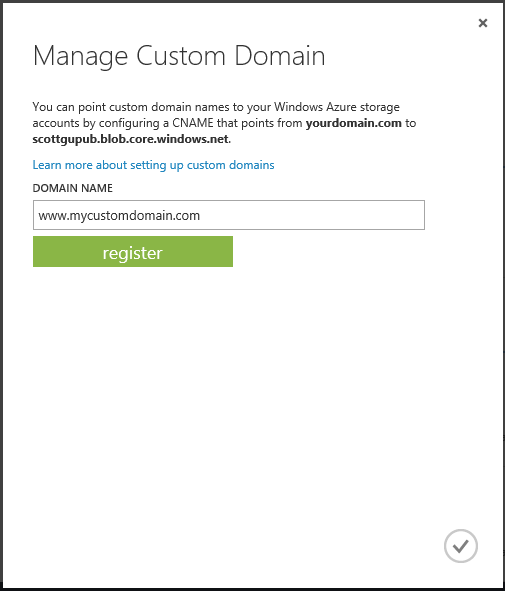 1) Does Azure Storage support custom domain name HTTPS endpoints in combination with SSL certificates? 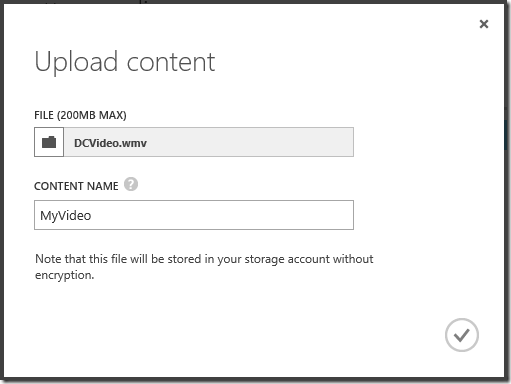 2) As an alternative, does Azure Storage support configurable CORS headers? Hope you can provide some insights! Interesting point: in your first screenshot, French and Italian start with a lowercase unlike English for example. All Azure VM's have a 30 Gig C: drive ... with no option to resize. Really? My iPod has more space. I literally cannot move from AWS until a bigger C: Drive is available. 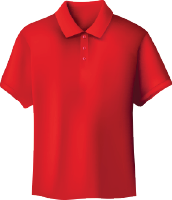 Please tell me "Select Size of C: Drive " will be available soon! When will there be ssl support for websites with custom certificates? My company vpswebserver.com provide Windows VPS server's and last few days we read about cloud solution's. Right now I read about Windows Azure. 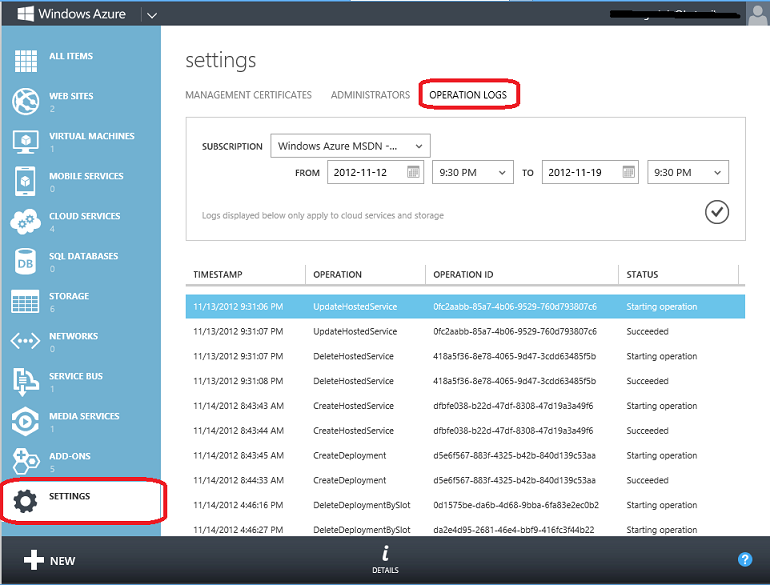 Can we move our server's which are under Windows Server 2008 R2 Datacenter to Azure solutions? As I can see this management Portal is very easy to use and create Virtual Machines?